Soon after John Calvin was appointed as a pastor of the Genevan church, having only recently arrived as a refugee fleeing persecution in his native France, one of his first actions was to petition the city government for the establishment of church discipline. It was a hard sell. In no other Reformed city had the civil magistrates given clergy such authority. The reformers Zwingli and Bullinger maintained that overseeing the moral lives of Christians was a task for the civil magistrate. Most Reformed theologians and magistrates associated ecclesiastical discipline with papal tyranny. Calvin acknowledged that the Roman church had grievously abused discipline by wielding it tyrannically to accomplish all manner of church goals. To prevent this evil, he called the magistrates “to ordain and elect certain persons of good life and witness from among the faithful” to shepherd the people on behalf of the church as a whole. These elders, along with the pastors, would bind themselves to the procedure laid out by Jesus in Matthew 18, by which professing Christians were to be held accountable to one another in the life of Christian discipleship. While the city council granted the pastors’ request in principle, it soon became evident that there was little agreement in practice. Calvin found himself banished from the city. Within three years, however, the city asked him to come back. Though he was reluctant, he agreed to return under the condition that church discipline be established. The city relented, though nearly 15 years of conflict remained before the consistory—the body of pastors and elders charged with the ministry of church discipline—could rest secure from political interference. Calvin’s consistory disciplined members of the Genevan church for a wide range of sins including idolatry, violence, sexual immorality, marital problems, and interpersonal conflict. They disciplined men who abused their wives and children, sons who refused to care for their aging parents, landowners who exploited their tenants, doctors who failed to care properly for the sick, merchants who practiced price gouging or sought to prevent economic competition, and employers who exploited or mistreated their workers. 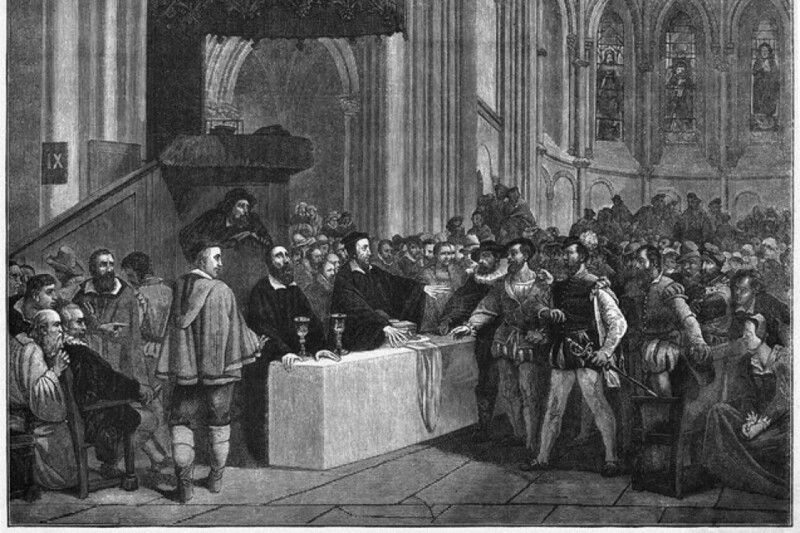 While many people were brought before the consistory, temporarily barred from the Lord’s Supper, and required to express public repentance or reconciliation, very few were permanently excommunicated (i.e., banished from participation in the sacraments). Calvin viewed discipline as a necessary extension of the church’s ministry of word and sacrament. While he did not identify it as a mark of the church, he did insist that discipline is essential to the spiritual health of a church, without which a church cannot long endure. Read the rest of this article at 9 marks.